Al has been a commodity advisor and broker since 1976. Al an introducing broker with Wedbush Futures, and writes a column, Your Profit, which appears in every issue of Successful Farming magazine. Al as published two books on commodities trading, and is commonly quoted in major publications including the Wall Street Journal, and is a featured speaker at commodity conferences nationwide. He is a frequent market analyst for the Linder Farm Radio News Network. 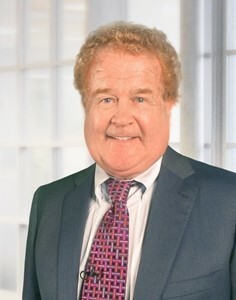 Alan, a Minnesota farmboy, was awarded his degree in Ag Economics from the University of Minnesota in 1974, after which he was executive director of the Minnesota Soybean Association before entering the markets full-time. Alan’s family still farms in southwest Minnesota and Al enjoys helping with fieldwork when the markets allow.